'Tis the season for your body to become infected. 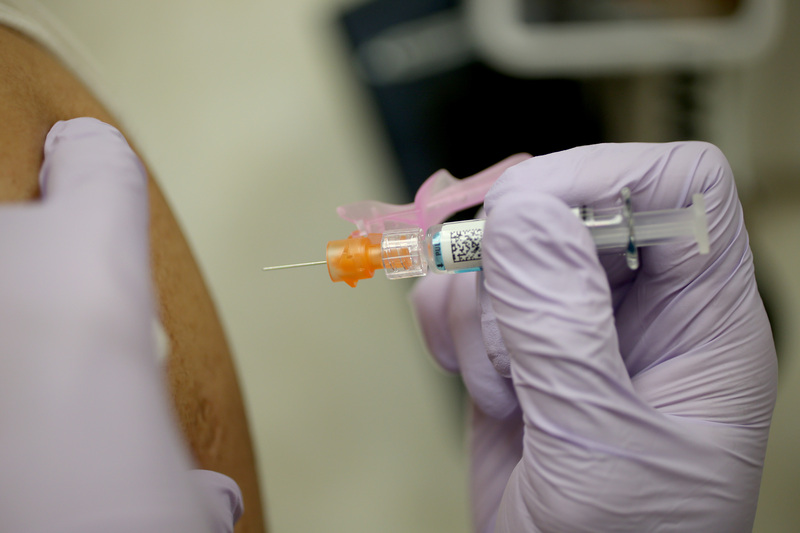 The flu has now spread to 35 states, the Center for Disease control reported Monday. This week's jump was drastic — as of the previous week, only 25 states had been deeply affected by the epidemic, according to CDC data (and only 10 the week before that). Also up is the rate of people making a trip to the doctor for the flu: four percent of doctors' visits were for the flu, compared with two percent the week before. A flu map of the U.S. depicting the prevalence of the disease indicates that all of the U.S. is either red for "widespread," or dark orange for "regional." The "widespread" designation indicates that more than half of the geographic regions (usually counties) in a state are "reporting flu activity." There is, however, one exception: Vermont seems to be the most flu-free, as represented by a lovely buttery yellow color not to be confused with phlegm. Maybe it's something in the Ben and Jerry's. Tied in to the flu season this year is a resurgence of the H1N1 virus — aka the infamous swine flu of 2009 — especially in the South. This strain is more likely to affect young adults, compared with the elderly. Flu season usually peaks in late January or February, so this isn't exactly something to be concerned about. Although the numbers are likely far from peaking, when all's said and thrown up, at least it's not norovirus. Until then, get yo' shots.